Clutch tribute Colossus is ready to pile drive 50,000 unstoppable watts into your face. 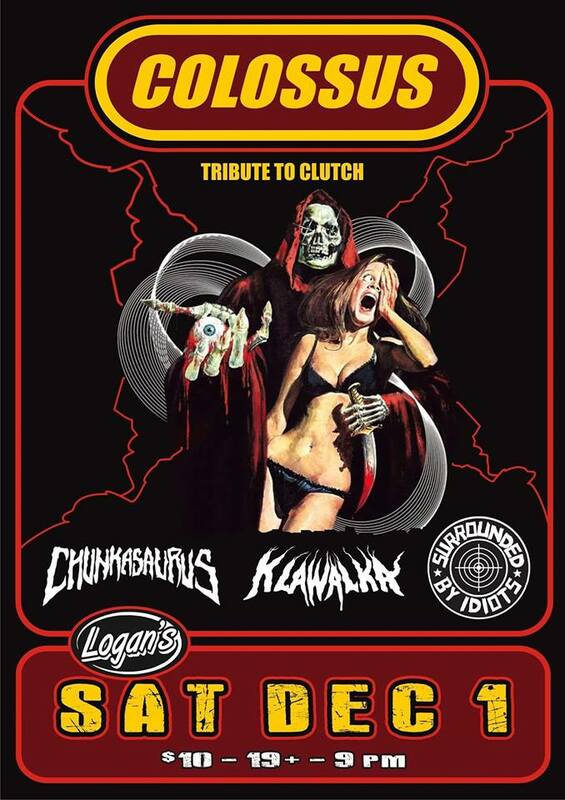 Supported by Island favourites CHUNKASAURUS the ultimate space truckin' metal and stone rock trio. Fuzzy deep grooves that will vibrate you to the core. Cluckin yolksters KLAWALKA will be performing an eclectic punk metal scramble that will crack your shell & make you feel like your brains are on drugs. SURROUNDED BY IDIOTS (VAN) will shred your mind and possibly lower your IQ. Come early & kill some brain cells with this amazing lineup.